With custom CNC milling, you can produce a vast array of finished products. This machine follows steps based on digitized codes entered into a computer program by a trained operator. Because milling is similar to drilling and cutting, it can achieve an impressive list of accomplishments. A rotating cylindrical tool cuts away material from the workpiece, thereby creating a finished product to your specifications. Beyond precision, another reason for using this kind of CNC machine is its incredible versatility. In addition to acrylic, polycarbonate, fiberglass, PVC, wood, thermoset plastics, and more, it is the ideal choice for a broad range of metals such as alloy steel, aluminum, brass, bronze, copper, magnesium, nickel, stainless steel, titanium, and zinc. Among those, three in particular stand out as the most millable, including aluminum, nickel, and steel. As part of the custom CNC milling services that you provide your customers, you might focus on these materials but offer solutions using the other materials as well. That way, you can expand your reach and grow your business. At the top of the list is custom CNC aluminum milling. For one thing, aluminum is cost-efficient. By spending less for high-grade material, you have the opportunity to pass the savings on to your customers. In a fiercely competitive market, providing your target audience with an exceptional product at a competitive price gives your company a significant advantage. As a lightweight yet durable material, CNC milled aluminum produces structural frames, bulkheads, airframes, and more for airplanes, missiles, and even support equipment for both the aviation and aerospace industries. Aluminum is also resistant to corrosion, making it the perfect material for outdoor applications. At the same time, it is strong and durable enough to work well in harsh environments. 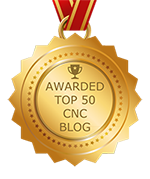 To provide your customers with excellent CNC milled products, it all starts by using a state-of-the-art machine. At NexGen Machine, we have a full line of CNC machines at competitive prices. Visit us online or call today for more information.